Also enjoy The Impossible game! One more awesome hard game on our lovely site! 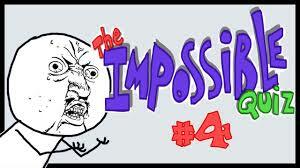 Do you ever hear about the impossible quizzes or other hard and annoying games? How unbreakable are they and what inflexible engine do they have? Well, this game is a whole new word of dense games and has a beautiful way to make you addicted and you can't stop playing it before you win. The reason of that is simple. I want to introduce you one of the most extraordinary and toughest game in the genre. This is the updated version of The Impossible Game and if this name already does not tell you what is this game, you will be amazed when you play it. This game is absolutely mainline of impact magic, because it has so simple and hard gameplay. When you start playing, first thought is nice, but every next round and every death will be punishment for your naive judgement. The Impossible Game has new traps and rounds of deathly road, there are so many new features. Unlike the other versions, this game has amazing graphics too, and that really suits with its gameplay. So, try this game and you will not regret. Every impossible game is about some complicated situation. Some of them requires clever ways and logic to play. But this game is extraordinary, because requires all of those skills from you. At the same time, idea is very simple. The reason of that is cool. There are no hard storyline or a lots of enemy, which you need to kill. Actually this is a biggest plus of this game, because it's giving you a hard mission without troubles. The Impossible Game is a game about the one tiny cube, who is bouncing on his way to the home. But, your journey is not a funny child road. Because, there are some deadly spikes and you need good jumping skills to avoid them. Also, there are some rounds, where you have to chose a tricky way to go, because some surfaces look like a road, but if you touch them, the game would be over. So, this game will definitely give you a hard time, but gives you pleasure with his amazing music and cool graphics. Enjoy playing it. The controls in this game are with the SPACE. you need to press it for the jump. This game completely justifies its name. There is no way for you to beat its gameplay with easy approach or no attentiveness. When you start playing this cool game, everything is low and you definitely think that, it will be easy to win and complete rounds. But, then after a few seconds, everything is changing and every jump will be harder. Also, your moving speed getting faster and the whole situation is so intense to adapt, if you do not play with all of your attention. The graphics in this game are really dangerous for you, because they are so modern style and beautiful. 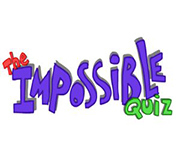 The Impossible Game was originally made for the Androids and iPhone users as a mini app, but when creators saw that the product has become popular, and many gamers fall in love with this game, developers made a flash version with better graphics and texture. So, on this site, you can enjoy it and have a fun. Good luck!